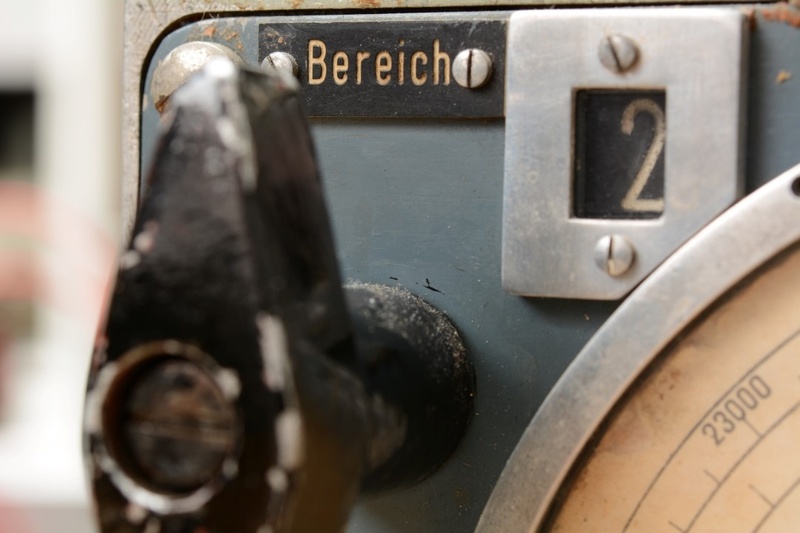 Full-view and incredible close-up photographs of German WWII submarine radios. Captions that explain every photograph. Technical data supplied. Updated with new radios every other month. This is one of my favorite photographs because it has four different photographic elements (the sign, the number, the handle, and the dial) all in the same frame. The front of the handle is a little out of focus, but everything else is surprisingly clear, given that we are just inches away. It also has a stark, harsh quality to it, almost black and white, with paint chipped away and rough screw heads poking out. Life was hard on a U-boat. Photo by permission of Stg.C.D.V.&T.